Why do people love them? Why do people hate them? Maybe because we just all need a break from the stress in our lives! With everything happening today, it's nice to have something to lighten the mood and get people groaning for more! That's where the dad joke comes in. 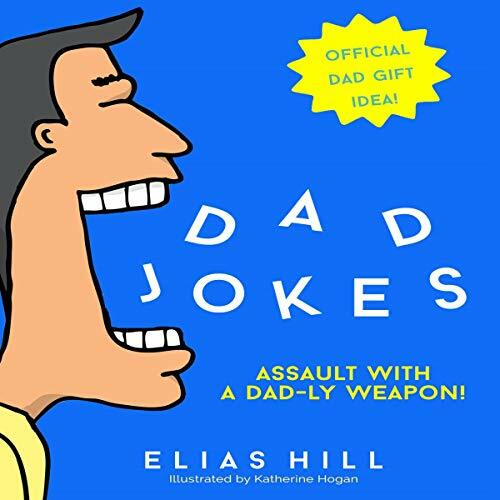 This audiobook is filled with over 100 dad jokes that only a dad and his intended victims will love. From sons to waiters and everyone in between no one is safe from dad's quick comebacks and witty puns. This audio dad joke can help you get ready for the next dad joke competition with You-know-who! So sit back, relax, and let the dad jokes begin!